Drusys are a beautiful gemstone, best known for their incredible sparkle! Making these amazing gemstones to use in jewellery making - but what are they? Drusy (Druzy) comes from the German word 'druse' which means geode. A geode is a hollow space within a stone that contains lovely little crystals. 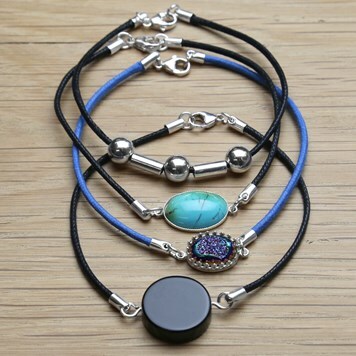 Drusy stones can be formed from different base gemstones - for example, our drusy gemstones are either chalcedony or agate - more commonly drusy have an agate base. 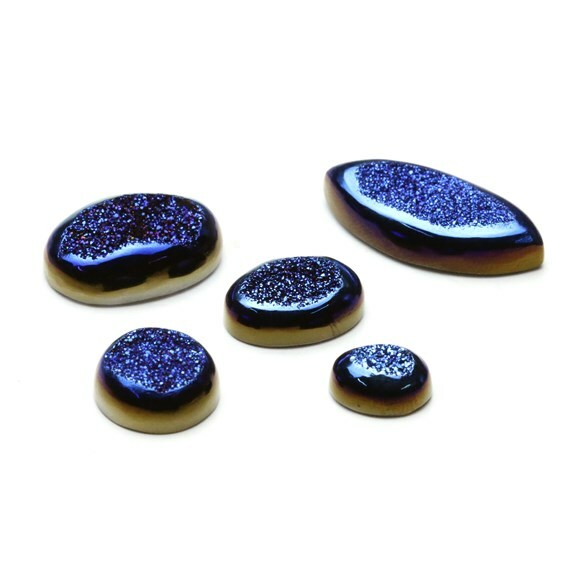 Drusy for jewellery making is carefully coated to give them their extra sparkle and colour. The drusy gemstones that we supply here at Kernowcraft have been coated in the US by a world-leading laboratory using a process called Vapour Deposition Coating which uses materials such as Titanium and Platinum to give them a coating that is not only gorgeous but is designed to be durable to withstand everyday wear. The stunning coatings on these stones range from bright golds to gorgeous shimmering blues and purples. Drusy is believed by many to be associated with peace, tranquillity and intuition. This project features one of our beautiful rainbow titanium window drusy cabochons. For step by step instructions on how to make this look click here. 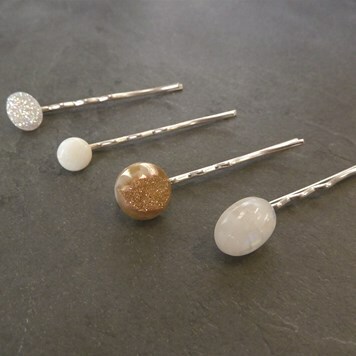 These wedding inspired hair grips feature a beautiful white flat drusy cabochon and a champagne rose window drusy cabochon. for step by step instructions on how to make this look click here. 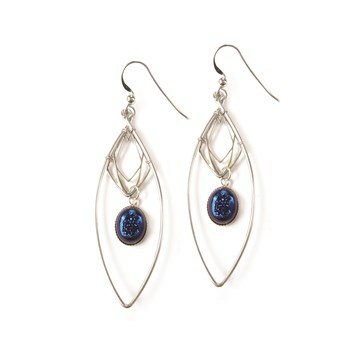 Create a striking look with the magnificent lightning blue drusy earrings! We've used our diamond charms to make these perfect for a special occasion and to add a touch of sparkle.